Here's another story of an anesthesiologist behaving badly. 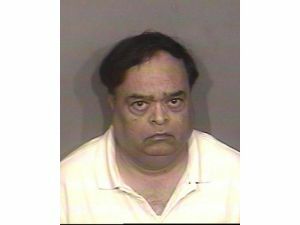 Dr. Yashwant Giri, an anesthesiologist in Orange County, CA was arrested for sexually abusing two patients who were under sedation at the time. One victim was a 16 year old girl whom he allegedly digitally penetrated while she was asleep. The scrub nurse in the room reportedly had her back turned when he started the assault. She then caught him when she turned around. She reported the incident to the hospital at the time but the hospital did not relay this to the police. The second victim was a 36 year old female undergoing outpatient surgery. A hospital employee witnessed Dr Giri fondling the patient's breasts during the case. Dr. Giri, who worked at Placentia-Linda Hospital, was arrested by the police and placed on a $100,000 bail. He could face 8 years in state prison if convicted of his crimes. Oh, the shame you have brought upon our esteemed profession, Dr. Giri.